​​BlockChain Cuties – Is the prime cryptocurrency based game that lets you breed, collect bear cubs, cats, lizards & puppies. Take part in Blockchain Cuties adventurous games & earn cryptocurrencies like Bitcoin & Ethereum. Try Blockchain Cuties free now! 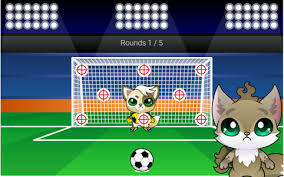 ​Blockchain Cuties (Block Chain Cuties) is a dApps game that allows you to collect cute pets for adventure and enjoy mini games! 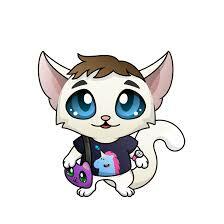 Because there are many kinds of cute pets, you can enjoy it without getting tired. Moreover, there are also contents peculiar to Blockchain Cuties such as making original pet from their own photos etc. It is notable! In this article, what kind of game is Blockchain Cuties? We introduce capture images including way of playing and how to acquire Etheriam! Blockchain Cuties is an educational & adventure game where you can enjoy mini games while collecting cute pets! The screen of ↓ will be the "Market" page of Blockchain Cuties. We have all kinds of pets! ​From pretty pets to cool pets, pets with dignity are various. If you find a pet you like on "market" you can purchase! It is a fox's pet, but it combines coolness and cuteness with a Japanese style feeling anywhere! This fox is on sale for 0.9744 ETH (about 47,000 yen)! ※ The price of the pet is as of July 14, 2018. Pets you own are adventurous to earn experience points and the level goes up! ​Also, if you succeed in adventure you will GET items! This screen is appearing to be battling with other pets that I met during adventure! Adventure able stages will be released more and more as the pet level rises, and if adventure succeeds in a difficult place you can get a gorgeous reward! Blockchain Cuties holds a limited time mini game etc! Currently (7/14) is hosting a football event named after the World Cup. Special items can be obtained when winning lotteries! With Blockchain Cuties, you can create your own pet below your own pictures! Special it not only looks but also that you can acquire pets that are excellent in terms of abilities and will be advantageous for future content. In order to have you make an original Blockchain Cutie pet you need to buy the right to have your original pet created in auction form! At the present time (7/14), since few people are offering bids, I think that it is possible to buy almost the right at the minimum starting price of 0.5 ETH. 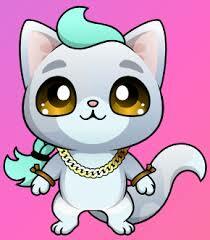 It is a content that can predict that prices will soar if Blockchain Cuties becomes popular in the future. If you are willing to enjoy Blockchain Cuties for a long time, it may be handmade to make it now. What? 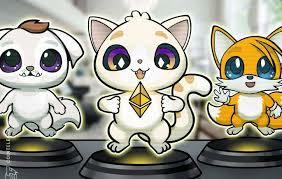 BlockChain Cuties - Pets with higher levels become popular and prices as breeding partners also increase, and the possibility of selling at high prices increases if you sell! Update 1.04 is here and brings changes to the article market, bug fixes and a new addition to the presale tab. BlockChain Cuties – Technical Staff working hard on new mechanics that will be implemented in the future to come. For example, some changes made in the article market in this small update are just the beginning. There is more to come, naked with us! We add an exclusive presale pet called “Kitsune “to the game. - Bonus to the experience gained of 75%. Kitsune the initial price is 0.5ETH, there will be only 10 unique Kitsunes available and the price will increase by 10% for each purchase of Kitsune. Kitsune is the Japanese word for the fox. The stories represent them as intelligent beings and as possessors of paranormal abilities that increase with their age and wisdom. One of our DEVS started a series of YouTube tutorials for the BlockChain Cuties game. ​There are still many questions about BlockChain Cuties from the players, so we decided to start the series of YouTube tutorials about the game. The first video is ready to be seen and introduces players to the basics of the BlcoChain Cuties game. Wikipedia is a work in progress and soon all the information will be available there. Element filters were added to the "Inventory" tab and the article market. The first iteration of the element filters is here, now you can manage the BlockChain Cuties inventory by configuring element filters by type and type. This is just the beginning for a future revision of the inventory system. BlockChain Cuties Mobile user interface updated in "Activities Tab"
The BlockChain Cuties Activities tab is now displayed correctly on mobile devices, it scales with the resolution. We will improve the UX experience for our mobile device users. Fixed a BlockChain Cuties problem that showed the pet, before the egg had hatched.